The folks at GEK Gasifiers have a nice introduction to this process. This is not a new concept. It has been around for many years. Gasification and vehicles have long traveled together. One great thing about this idea is that is very scalable. You can build a small gasifier out of a soup can. 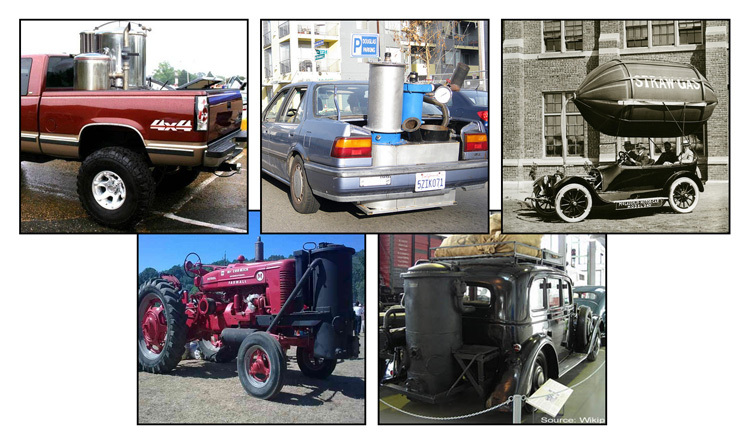 There are also mid-range gasifiers that can be thought of as ‘garage-scale’. And there are large industrial plant-scale gasifiers. 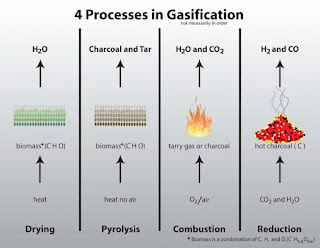 Gasification can serve as an intermediate step between many types of feedstocks and many other production processes as the chart below demonstrates. Each of the processes mentioned in the chart above require a gas input of a specific makeup. This is why an analyzer system is frequently required between the output of the gasifier plant and the input of the receiving process. We are frequently approached by manufacturers and educational institutions also. 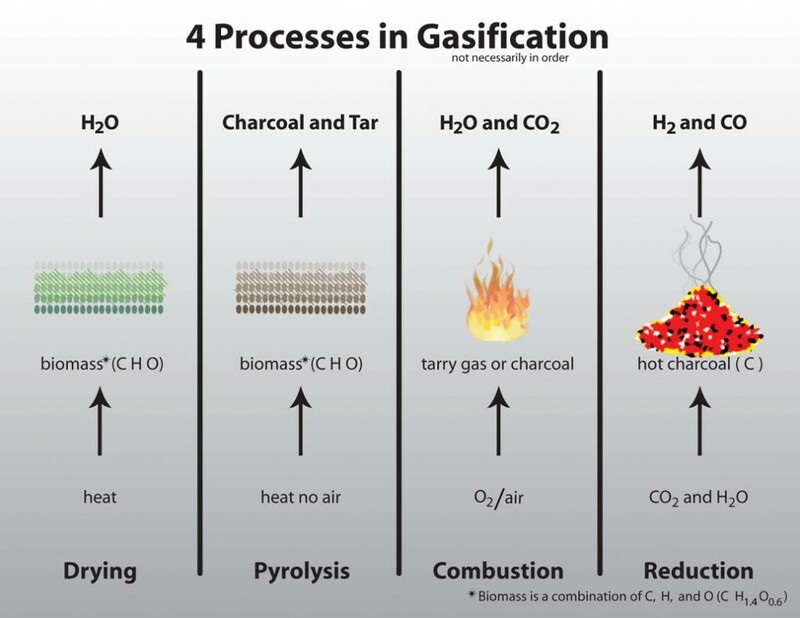 The end-users may be researching and developing a new gasifier design. 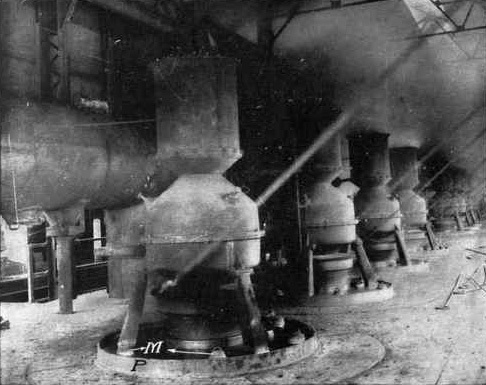 Or they may be tuning a gasifier system for optimum performance and gas production. Having a reliable gas analyzer to measure oxygen / carbon monoxide / carbon dioxide / hydrogen / methane is an important part of this process. The Nova 970 Series Syngas and Gasification Analyzers have been specifically designed with this application in mind. The gas that comes out of a gasifier frequently has conditions and constituents that are detrimental to an analytical instrument. Because of this reality, we have produced an instrument that is industrially hardened and user-friendly. The materials of construction and the straight-forward layout of this instrument gives us a great deal of confidence in recommending it to our customers. 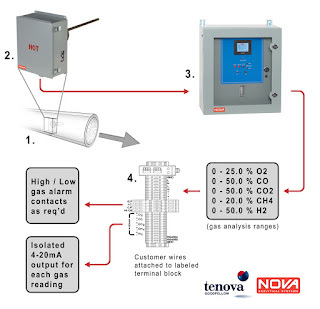 If you have a gasifier and need analysis of your produced gas, think about buying a Nova. We have bench top configurations for temporary or intermittent analysis. We have wall–mount configurations for permanent continuous analysis. If you have a LinkedIn account, search for Nova Analytical Systems under Companies and follow us if you want. Update note Oct 2012 - two other posts have since surpassed Post #5. #53 - What is CONSTEEL? Update note Nov 2012 - This post about the most widely-read post has itself now become our most widely-read post. I'm sure there's a deep lesson on feedback dynamics somewhere in there. We have certainly seen a great deal of interest in our gasification analyzers. Update note April 2014 - This post is again back on top as the most widely read post. Chart on chemical processes fed by gasification adapted from The American Energy Security Study (2007), a USA initiative lead by the Southern States Energy Board (SSEB). wow...cool. . .thanks a lot for showing it to me.... I have learned a lot..